The Student Accounts Building houses the Cashier’s Office, Student Accounts, and University Collections. The University acquired the Student Accounts Building in 1986. 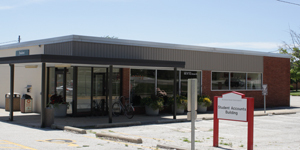 The Placement Office was located here before Student Accounts. The Student Accounts Building was also once a Key Pharmacy.